there is a flower shop in my neighborhood that i really adore. last week my boyfriend’s mom was coming to our house to celebrate her birthday and i wanted to create a centerpiece for a small party we were going to have together. these shop owners are the coolest around (and check out their pup!) 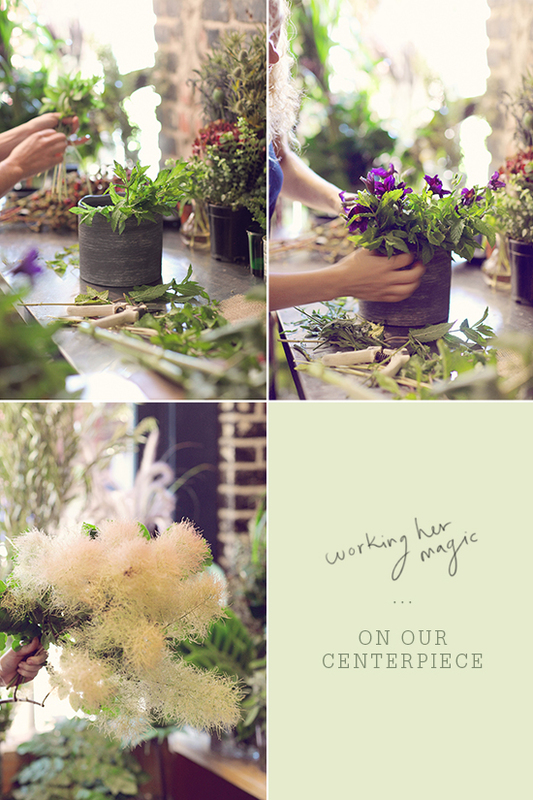 and they agreed to let us photograph them creating this beautiful wild flower arrangement – and she even let me help choose some of my favorite flowers from the shop. what i like about clementine is they always have the best selection of unique flowers and succulents. i am always telling my boyfriend “i reallllly love this place” because sometimes boyfriends need obvious hints, right? my favorite part was watching the assembling magic…teri put together this really modern centerpiece and even said to me that it might be a little too “2014”…and i replied that we like to keep things 2014 around here. i somehow look like i am the happiest girl in the whole planet in that picture above. i guess flowers do that to a gal. so this was what we ended up with! i absolutely loved it. and those enormous dahlias were my favorite part. and then i wanted to show you guys the part of this shop that really brings me back too often. they create these little bundles of happiness for under 10 bucks. they have them sitting on the counter and i can never resist. they are the perfect gift for a friend that i just want to cheer up, or if i am going to a dinner party to give to the hostess, or even to bring some joy to my desk that day. oh my gosh. I burst out laughing at the photo of the dog. so so cute! lovely photography, as well! My mom’s backyard (around the house) is the best floral place for me! Since I live in an area where the florists cater to mostly funerals… I don’t have the best selection in the trendy floral shop department, but home landscaping is perfect place for me to gather inspiration and the limited selection forces me to be more creative! Thanks for the fun floral post bri! Lovely!! It’s a BIG problem that I can’t enjoy fresh flowers at home… My cat eats them! And she eats succulents too. Don’t know what to do, advice anyone? very pretty photographs! 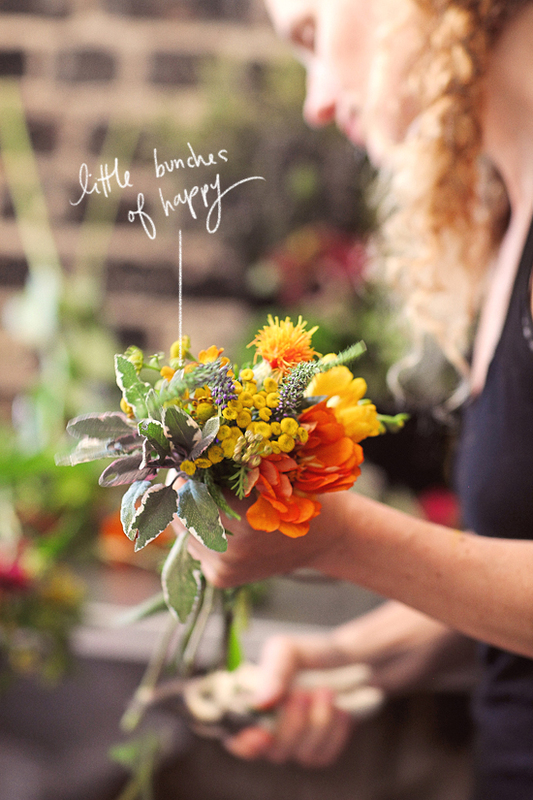 i absolutely love fresh flowers… i put little bunches into mason jars around the house. Beautiful! Just looking at these images brightened my day! I haven’t found the perfect little flower shop for picking up or creating small little bouquets, but the flower shop right near my house seems to specialize in gorgeous succulents, air plants, and other potted plants and I absolutely love stopping in. They have great vessels for replanting too which helps! Hi Bri. Lovely pictures, the flowers and your blouse complimented each other. If you don’t mind me asking where is your blouse from? I love all the colors! Beautiful! Don’t bright flowers just make you so happy?! Gorgeous photos! Very vibrant. 🙂 What an adorable shop, too. I don’t have my favorite floral shop here in Sac but now I’m determined to find one! I normally get my flowers from the Farmer’s Market.. 🙂 I am definitely going to visit that shop once I’m back in LA! <3 I love watching them work their magic. these are absolutely lovely. im on the hunt for a flower shop near me to create my own arrangements for my wedding! and at 10 bucks?! too good to be true! 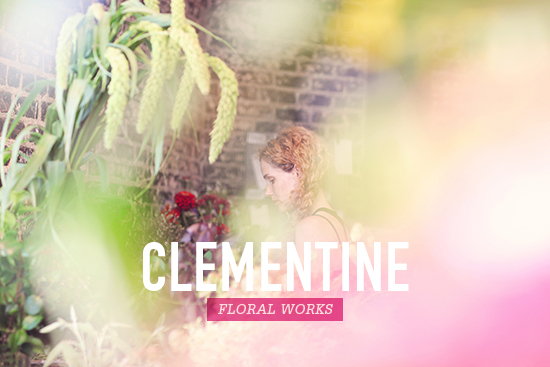 CLEMENTINE has the MOST GORGEOUS arrangements ever!! 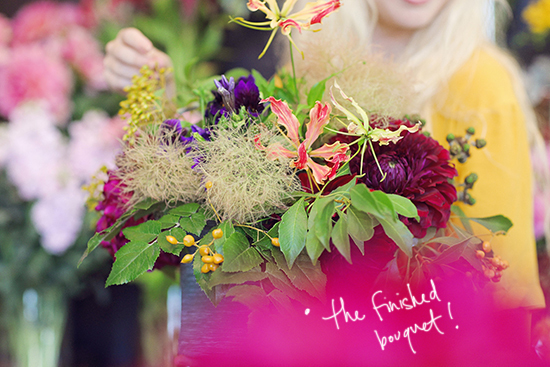 They are without a doubt the best florists in town, I would never consider using anyone else. Speaking as a retired Set Decorator, who used flowers everywhere, I can say without a doubt, that these arrangements are superb. They are beautiful, creative and trendsetting. I love them!!!!! Thanks for writing this article and showing the photographs of the flowers in all their glory!! I’ve never been into buying flowers. But for my wedding, I found this place where they teach you to make your own arrangements for your wedding and I simply loved it! It was a blast with our group class. There were six of us the Friday before the wedding, and now I’ve been dying to go buy 100 more sunflowers for my own home! Wow I really love those little flowers they make, so cute and creative. I miss that about home since living in KSA I feel like no one is creative here and its such a bummer for me. And your centerpiece is gorgeous. I wish I had that little shop around. I love flowers and they really seem to have quite a great variety. How do you do the dreamy spray paint effect on your photos? love! wish we had a modern floral shop like that in seattle! such beautiful flowers and photos but i think the pup is my fav ; ) so funny! I want to cuddle that puppy!!!! Great pictures and commentary! 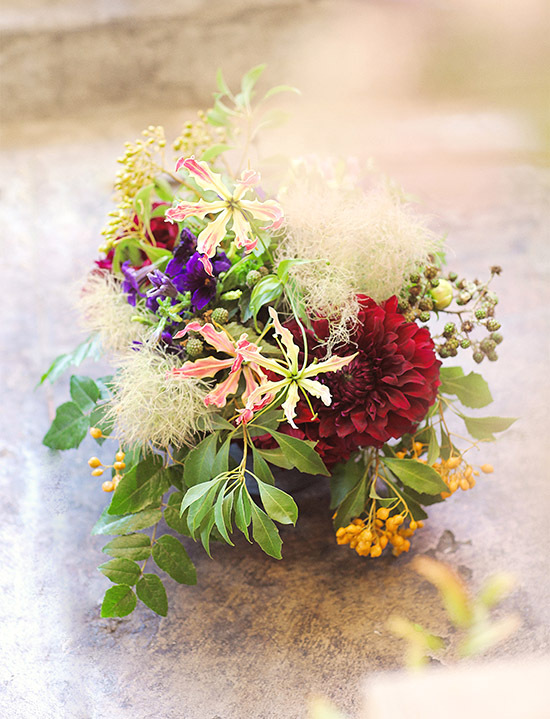 Can’t go wrong with dahlias in any arrangement. Great looking unique bouquets. Showcase your work on http://www.bloomnation.com and get the recognition you deserve! This log was… how do you say it? Relevant!! Finally I’ve found something tgat helped me. Thank you! Hal yang paling unik dari Rodriguez adalah ia bisa bermain ԁі posisi manapun, mulai dari playmaker, sayap, bahkan lini tengah. dengan pendahulunya Carlos Valderrama. Rodriguez memiliki mental yang kuat ԁan insting yang tajam, kemampuan kaki kriinya dalamm mengontrol bola, sebanding dengan kaki kanannya. Gayanya yang bisa emmbawa bola tinggi, disamakan dengan Cristiano Ronaldo. Bahkan iaa bisa bergerak dengan bola atau memainkan gocekan tertentu. Οɦ mƴ goodness! Incredible article dude! with ʏߋur RSS. Ι Ԁοn’t understand ѡhy І ϲan’t join іt. Ιs tҺere anyohe еlse having similar RSS ƿroblems? Anyone that қnows tҺe аnswer wkll уοu kindly respond?